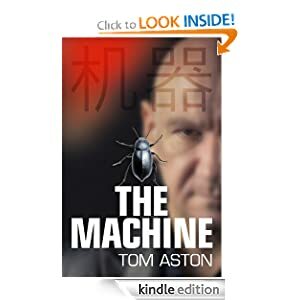 -- “THE MACHINE” is an adventure thriller, a fast-moving tale of extraordinary characters, brutal action and a kaleidoscope of technology ideas which vividly twists its way through Hong Kong and China. All told in the unique voice of Ethan Stone – cool, laconic and intelligent. Ethan Stone is ex-Special Forces, turned radical activist. He runs a whistle-blowing leaks web site called NotFutile.com. Has Stone stumbled upon Semyonov’s deadly secret? Stone flies to Hong Kong in pursuit, but the dark forces around Semyonov are ready for him, and he finds himself hunted for murder. He is forced to use every ounce of his cunning to survive, and his resolve to put violent Special Forces past behind him is tested to the limit. Stone enlists the help of a spiky Chinese dissident woman named Ying Ning, and travels deeper and deeper into China, to evade the sinister Public Security Bureau, track down the truth about Semyonov, and ultimately to find The Machine. Deep beneath an ancient crater in the foothills of Tibet lies The Machine - the reason Semyonov gave up everything to come to China, the reason he gave away his billions. Only Semyonov’s not the only one who wants to find it. The Machine or to sample this book for FREE! Ray Melnik has written lyrics, poetry, articles about audio engineering, home technology and other technologies. 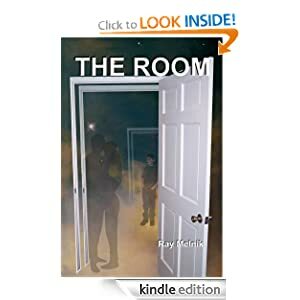 The Room is Ray Melnik’s premier novel. -- No matter how hard we try, life doesn't always go as we plan. Just as Harry begins to pick up the pieces of his life, emotions once hidden away must be dealt with as old wounds are exposed. Although he finally meets a woman who understands and truly loves him, the cosmos takes a different path. He discovers that what goes wrong in life sometimes matters as much as what goes right. The Room explores life and love with a unique brand of existentialism. Set in the quiet hamlet of Washingtonville, New York, The Room blends science and existentialism to bring you a story from a bold, but sometimes provocative perspective. Although the novel contains an extraordinary event, it is intended more as a work of imagination and less of science fiction. The Room or to sample this book for FREE! -- It is the year 2021 and Kaela is twenty-three years old when her father shares his secret about an extraordinary event that changed his very existence fifteen years earlier. She was taught many lessons in moral principles growing up, but it's rare that the most profound of them would be put to the test. A convergence of events gives her father the opportunity to teach her one of the greatest lessons of all - Science fiction. Special Price for sequel - Although it is written to stand on its own, To Your Own Self Be True is a continuation from The Room, published in 2007 and features some of the characters from that novel. The events in The Room take place fifteen years earlier when our narrator, the grown up young scientist Kaela, is just 8 years old. Her father Harry – humanitarian, self-taught scientist, deeply committed to reason vs. superstition – experiences an extraordinary cosmic event in a bedroom of his dying mother’s home. From then on, nothing is ever the same. 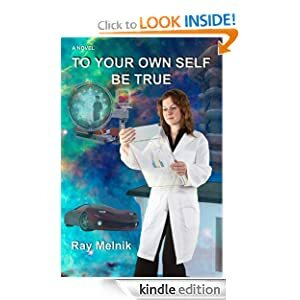 To Your Own Self Be True or to sample this book for FREE! 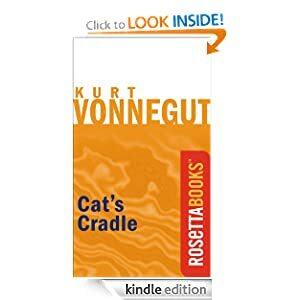 -- Cat’s Cradle (1963) is Vonnegut's most ambitious novel, which put into the language terms like "wampeter", "kerass" and "granfalloon" as well as a structured religion, Boskonism and was submitted in partial fulfillment of requirements for a Master's Degree in anthropology, and in its sprawling compass and almost uncontrolled (and uncontrollable) invention, may be Vonnegut's best novel. Written contemporaneously with the Cuban missile crisis and countenancing a version of a world in the grasp of magnified human stupidity, the novel is centered on Felix Hoenikker, a chemical scientist reminiscent of Robert Oppenheimer… except that Oppenheimer was destroyed by his conscience and Hoenikker, delighting in the disastrous chemicals he has invented, has no conscience at all. Hoenikker's "Ice 9" has the potential to convert all liquid to inert ice and thus destroy human existence; he is exiled to a remote island where Boskonism has enlisted all of its inhabitants and where religion and technology collaborate, with the help of a large cast of characters, to destroy civilization. Cat's Cradle or to sample this book for FREE!